RESEARCH & PUBLICATIONS – Artworks PHX – a business-arts campaign in Phoenix, Arizona USA. Please enjoy our links to readings connecting arts, culture, creative cities, economic development and community prosperity. 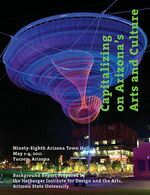 Terms such as “creative economy,” “creative class,” and “cultural economy” are common among urban planners, arts administrators, economic developers, and business and municipal leaders (American Planning Association; Landry, 2000 and Florida, 2002). Integrate the visions of community and business leaders; and contribute to the development of a skilled workforce. Economic development is enhanced by concentrating creativity through both physical density and human capital. By locating firms, artists, and cultural facilities together, a multiplier effect can result. The recognition of a community’s arts and culture assets (and the marketing of them) is an important element of economic development. Creatively acknowledging and marketing community assets can attract a strong workforce and successful firms, as well as help sustain a positive quality of life. Arts and cultural activities can draw crowds from within and around the community. Increasing the number of visitors as well as enhancing resident participation helps build economic and social capital. Planners can make deliberate connections between the arts and culture sector and other sectors, such as tourism and manufacturing, to improve economic outcomes by capitalizing on local assets. Urban and regional planners, elected officials, and other decision makers are increasingly focused on what makes places livable. 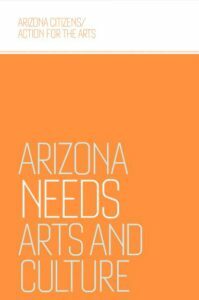 Access to the arts inevitably appears high on that list, but knowledge about how culture and the arts can act as a tool of economic development is sadly lacking. This important sector must be considered not only as a source of amenities or pleasant diversions, but also as a wholly integrated part of local economies. Employing original data produced through both quantitative and qualitative research, Creative Communities provides a greater understanding of how art works as an engine for transforming communities. Why Cities Can’t Afford to Lose Their Artists: A look at America’s leading arts hubs and their roles in economic development. From the Atlantic City Lab (Florida, 2014). A recent study published in the journal Urban Studies takes a close look at the connection between the arts and city building. Researchers look at the relationships between the arts clusters and a series of 33 social, economic and demographic factors across four types of metro areas: large metros with over 1,000,000 people, mid-sized ones with 500,000 to 1,000,000 people, small metros home to 250,000 to 500,000 people, and the smallest ones with less than 250,000 people. The researchers define arts clusters as comprised of 22 key industries that produce artistic content, spanning arts, music, theater and design, but excluding industries like radio or TV broadcasting. 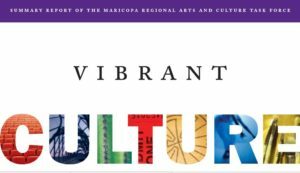 Virginia G. Piper Charitable Trust reports: Links to important studies completed from the early 2000s through today, including research produced by MPAC (Maricopa Partnership for Arts and Culture).